What’s In store for the 2.1.0 update? The maintenance that began on 1/30/19 at 6:00 a.m. is now complete, and the game has been updated to version 2.1.0! Here’s a quick look at the new features! The new mini-game Blathers’s Treasure Trek has been added! Collect maps you get from balloon presents and Gulliver’s Cargo Ship and send Blathers on a trek for treasure! Roll the die using Bells or craft materials, and Blathers will move the number of spaces you roll. Depending on the space he lands on, you might get items, new animal friends, and more! The animals you meet can be called to your campsite or cabin! You can also use Leaf Tickets to get all the items on the map using the Instantly Clear the Map feature! · You can get maps by completing animal requests, as well as from opening balloon presents and Gulliver’s Cargo Ship. 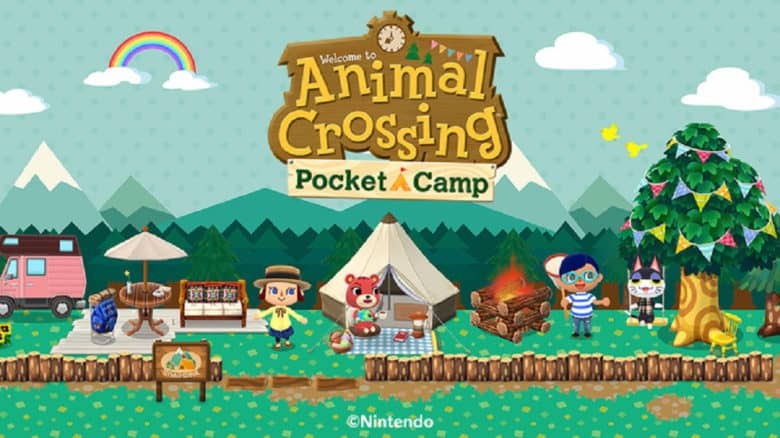 · Maps that allow you to meet new animals are found at Gulliver’s Cargo Ship. Blathers’s Treasure Trek now available! Pete has noticed how busy all the campers are lately, and has started a service to help complete animals’ requests! If you go to Pete on the map, you can see a list of the requests animals currently have. If you have something they want, Pete will deliver it to them for you! · Pete’s Parcel Service can be used starting at level 3. · The list of requests in Pete’s Parcel Service will only show requests from animals you have already met. · Requests that involve selecting clothes or giving a gift to another animal have been classified as animal requests, but now will appear when you select the “What’s the latest?” or “Let’s Talk” dialogue options. · Animals will no longer ask you about recommended fishing spots. You’ll be able to do more right from your friends’ details page! You’ll be able to your water all your friends’ flowers at once! · During a garden event, you’ll be able to confirm which rare creatures your friend needs to complete garden tasks! · During a garden event, you’ll be able to share rare creatures with your friends in batches! Animals’ maximum friendship level will increase from 25 to 30! You’ll be able to become even better friends with your favorite animals! New fruits are appearing at Breezy Hollow and Lost Lure Creek as local produce! Maybe your friends’ market boxes will have the fruit you don’t have? Campsite, cabin, and camper camera controls have changed! While in camera mode, you can now switch between modes that allow you to turn and move the camera! Note: Because of this, you can no longer adjust the camera outside of camera mode. · The camper ladder button that was removed in 2.0.0 now displays properly. · If you pick up a lost item and take it to your campsite, the lost item will not register as being found. · If you have placed the maximum amount of furniture or clothing in your cabin, you may be unable to change the wallpaper, flooring, or rug. · The model for black loafers was showing as tasseled loafers. Thank you for your patience during the maintenance period for this update. Please enjoy the following gift! Availability: After the maintenance scheduled to start at 1/30/19 at 6:00 a.m. until 2/28/19 at 5:59 a.m. Note: The gift must be collected from your mailbox during this availability period.